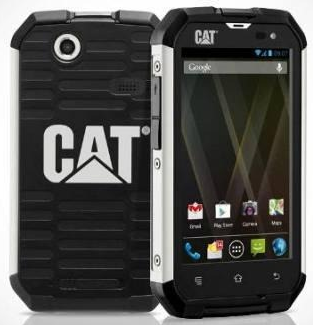 We have a highly robust phone in front of you today, Caterpillar is one of the famous companies which creates the cases for iPhone which are resistant to starches and dents and thus prevent your iPhone from the fall. They have released their version of robust phone named Cat B15 and we believe it to be the trend followed by Sony Xperia Z which handled the water and was water resistant up to 1m for 30 minutes and as per the looks of this phone you can see the degree of robustness this phone carries. The screen size of this phone 4 inches with the resolution of 800 x 480 pixels which is qHD display and it is powered by 1GHz Dual-Core Processor which is also supported by 512MB RAM. The power which this phone carries is not much as per the price at which this phone is expected to be available (27,000 INR approx). The internal storage capacity of this phone is 4GB which can be extended up to 32GB with the help of external memory slot. The camera used on this phone of 5MP which is placed at the back and the secondary camera used on this phone is a VGA camera. This phone is mainly designed for the users who just want a solid phone with no issues on handling and when talking about the decent hardware spec then Sony Xperia Z is available at 35k INR approx which is a huge price to pay when compared with Cat B15. User cannot use this phone for the usage of heavy applications (games included) and like to that of Sony Xperia Z, it is also dust proof due to a special dust-resistant coating. Apart from being dust-proof and water-proof it can handle the impact when falling from the height of 1.8 meters on the concrete floors which is something exceptional and has not been seen on any of the phones as of now. Well, we do not have any clue about release of this phone and even the price is a rumored figure. So, stay tuned to catch up with more about this.